A gluten free Christmas can be a daunting prospect if you have coeliac disease, especially if you’re newly diagnosed. But it doesn’t have to be! With so much free from choice available and awareness growing day-by-day, a gluten free diet at Christmas is actually pretty easy. I was diagnosed with coeliac disease over 15 years ago, so I know a thing or two by now about handing Christmas-time. 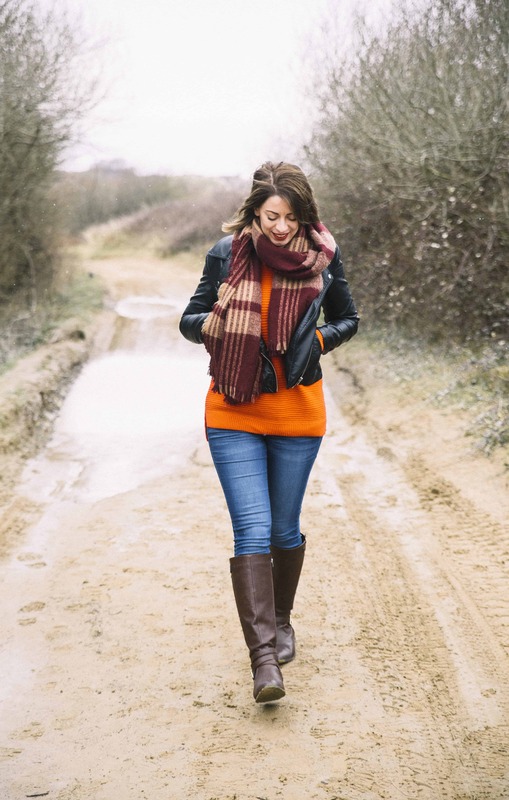 That’s why I’ve teamed up with Genius Gluten Free to bring you my top five tips – or ‘coelihacks’ – for surviving Christmas on a gluten free diet! Always make sure you have gluten free options in stock. 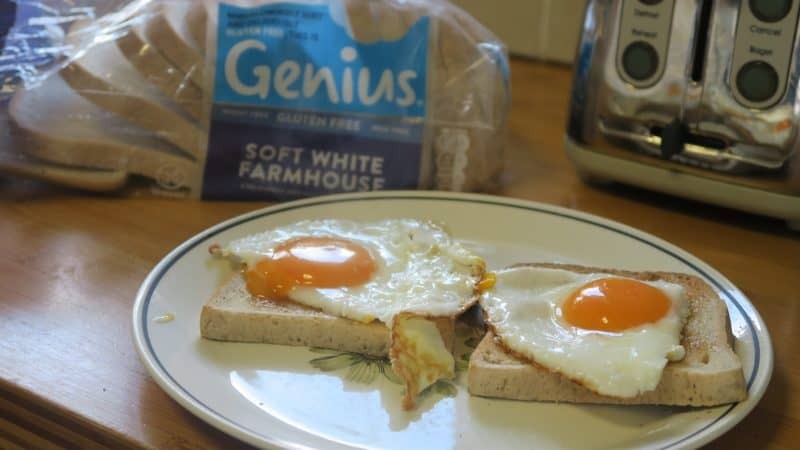 Keep basics, such as some gluten free bread with you at all times – the Genius half loaves are so handy if you’re limited on freezer space, especially if you’re visiting relatives. I also like to make sure I have snacks like the Genius breakfast bakes in my handbag – they come in individual sealed bags so you can keep one on you in case you go to an event where there’s nothing you can eat. If you have coeliac disease, you need to be especially careful when you’re not in control of the cooking. Make sure anything containing gluten is kept separate from the gluten free food. Use separate roasting tins and pans and stir with separate spoons. If you’re helping lay up a party food spread, try and have a separate gluten free section away from the ‘normal’ food and make sure it’s clearly labelled. For example, ask people to spoon dip onto their plate rather than dipping ‘normal’ breadsticks in to avoid cross contamination. If you’re visiting family or friends or staying away from home, carry toaster bags with you so you can safely toast your own bread, crumb-free. Keep your own butter in a separate dish to avoid crumbs, and be open and honest with people to try and avoid any contamination problems. 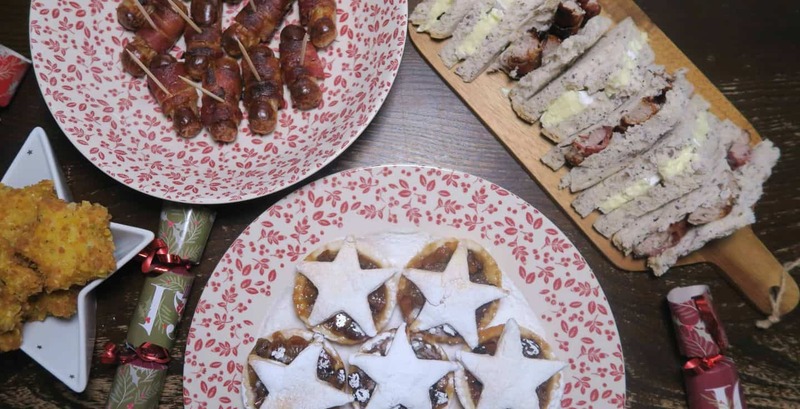 Being gluten free doesn’t have to be boring, especially when it comes to Christmas. When it comes to the office party, bring some of your own buffet food. I love the Genius gluten free chocolate cupcakes, but as it’s Christmas I added a festive twist with some snowflake sprinkles and gold glitter and no-one even knew they were gluten free. 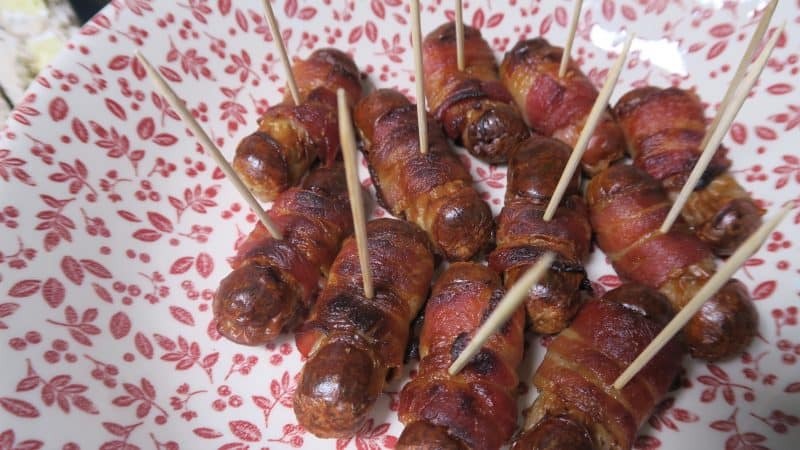 A lot of party food nowadays, such as cocktail sausages and pigs in blankets, can be found gluten free as standard so try and make as much of the food as you can gluten free anyway. I bet your colleagues never notice. Often the work Christmas party and set menus can be a minefield when it comes to eating out gluten free. Always make sure you plan ahead by contacting the restaurant to ask what is gluten free. Don’t be afraid of asking questions about cross-contamination and double-checking you have the right food. 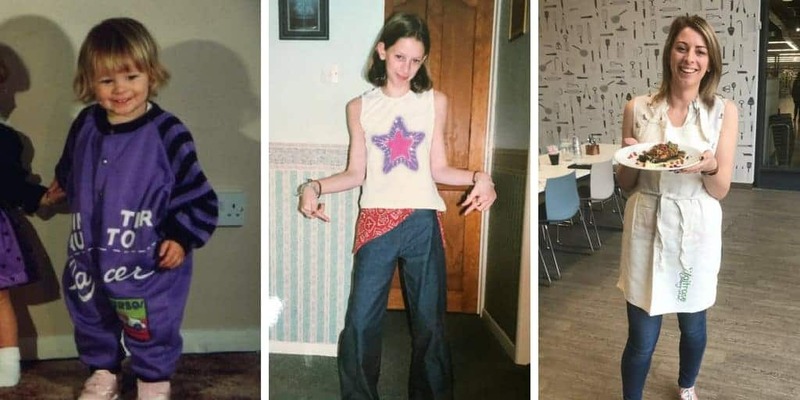 I’ve been to parties before where I’ve been given the wrong dish by accident and it’s not worth ruining the night because you didn’t want to cause a fuss. It’s pretty easy nowadays to make your entire Christmas dinner gluten free without anyone knowing. You just have to get swap-savvy! 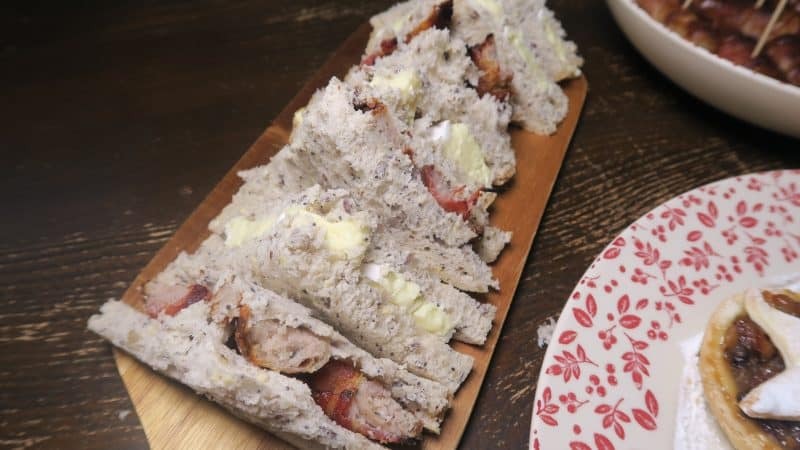 Use cornflour to thicken your gluten free gravy, and for an amazing stuffing, use gluten free breadcrumbs from leftover bread blitzed in the blender with gluten free sausage meat. 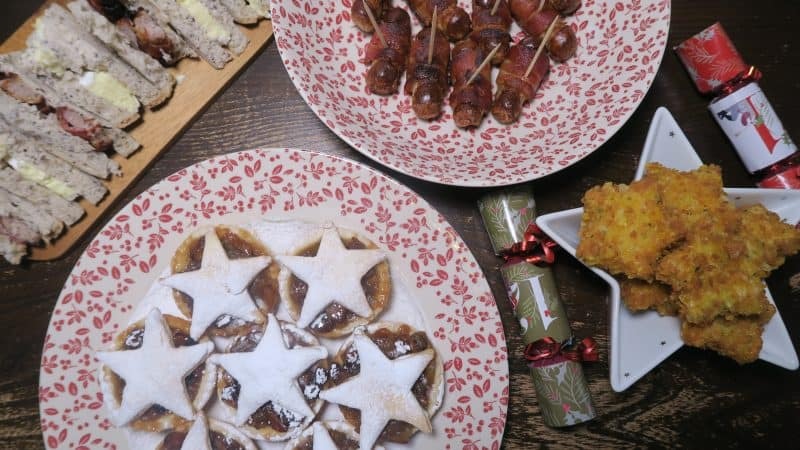 Pigs in blankets are easy to find gluten free in the supermarkets, and you can conjure up some spectacular puddings too. 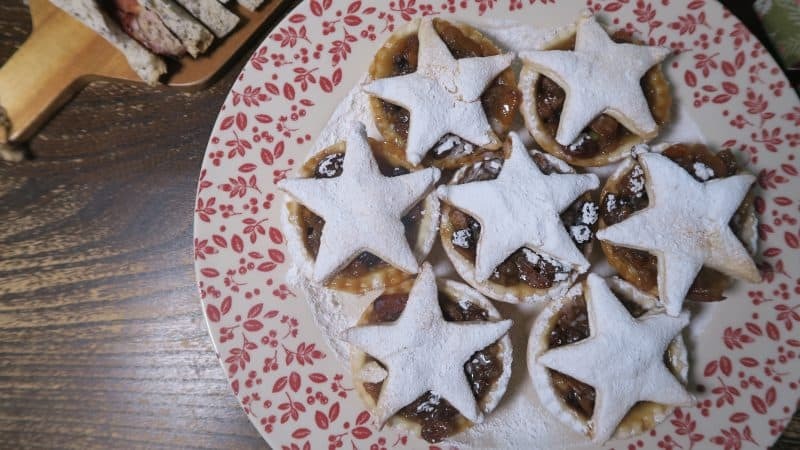 I also love making my own mince pies with the Genius ready-roll pastry – it’s so easy and no one even knows the difference. What are your Christmas ‘coelihacks’? If you’ve got any tips and tricks for surviving Christmas on a gluten free diet, I’d love to hear them! Whether it’s your favourite festive recipe or a tip for avoiding cross-contamination, post your coelihacks in the comments below, or get in touch on my Facebook Twitter and Instagram pages! 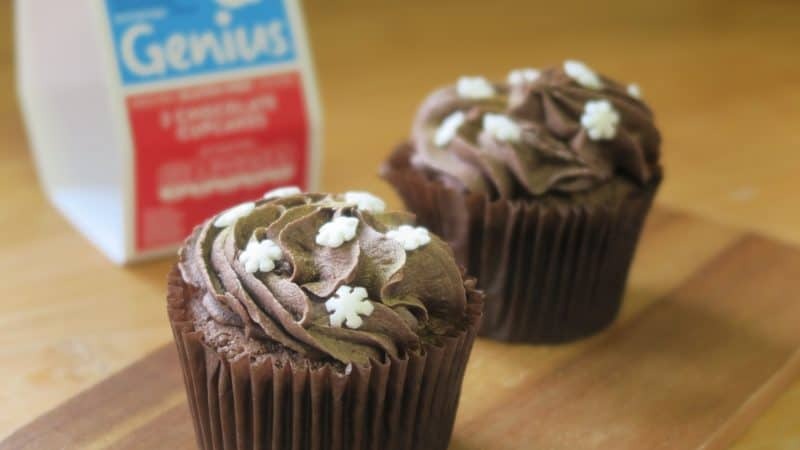 You can find out more about the full Genius gluten free range on their website – and read about my Genius gluten free haul here too. Brilliant tips and hacks here Sarah, anything to take the additional stress out of Christmas.